Several other research analysts have also recently weighed in on BRKL. BidaskClub upgraded Brookline Bancorp, Inc. from a “buy” rating to a “strong-buy” rating in a report on Wednesday, June 6th. 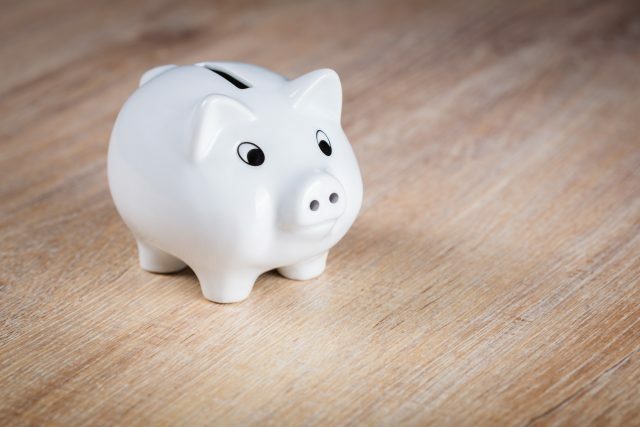 Keefe, Bruyette & Woods reissued a “hold” rating and issued a $18.50 target price on shares of Brookline Bancorp in a research report on Wednesday, August 8th. Finally, ValuEngine raised Brookline Bancorp, Inc. from a “hold” rating to a “buy” rating in a research report on Wednesday, May 23rd. One research analyst has rated the stock with a sell rating and five have issued a hold rating to the stock. Brookline Bancorp, Inc. presently has a consensus rating of “Hold” and a consensus target price of $18.67. Shares of NASDAQ:BRKL traded down $0.05 during trading on Thursday, reaching $17.95. 5,588 shares of the company’s stock traded hands, compared to its average volume of 248,787. Brookline Bancorp, Inc. has a fifty-two week low of $13.63 and a fifty-two week high of $19.35. The company has a quick ratio of 1.17, a current ratio of 1.17 and a debt-to-equity ratio of 1.25. The stock has a market capitalization of $1.46 billion, a PE ratio of 22.56 and a beta of 0.78. 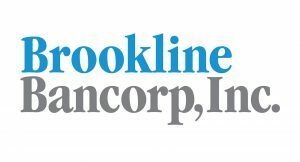 Brookline Bancorp, Inc. (NASDAQ:BRKL) last posted its quarterly earnings data on Wednesday, July 25th. The bank reported $0.26 earnings per share (EPS) for the quarter, hitting the Thomson Reuters’ consensus estimate of $0.26. Brookline Bancorp, Inc. had a return on equity of 8.53% and a net margin of 19.97%. The company had revenue of $68.24 million for the quarter, compared to analysts’ expectations of $69.40 million. sell-side analysts expect that Brookline Bancorp will post 1.08 earnings per share for the current fiscal year. In other Brookline Bancorp news, Director David C. Chapin sold 5,000 shares of the company’s stock in a transaction on Tuesday, August 28th. The shares were sold at an average price of $18.01, for a total value of $90,050.00. The transaction was disclosed in a filing with the Securities & Exchange Commission, which is accessible through this link. Also, insider James M. Cosman sold 2,750 shares of the company’s stock in a transaction on Thursday, August 16th. The shares were sold at an average price of $18.01, for a total transaction of $49,527.50. The disclosure for this sale can be found here. In the last quarter, insiders have sold 12,250 shares of company stock valued at $222,153. Insiders own 2.51% of the company’s stock. Several large investors have recently made changes to their positions in BRKL. BlackRock, Inc. raised its holdings in shares of Brookline Bancorp by 11.5% in the second quarter. BlackRock, Inc. now owns 11,150,005 shares of the bank’s stock valued at $207,391,000 after buying an additional 1,148,782 shares during the last quarter. Polaris Capital Management, LLC raised its holdings in Brookline Bancorp, Inc. by 35.7% during the first quarter. Polaris Capital Management, LLC now owns 1,558,950 shares of the bank’s stock worth $25,255,000 after purchasing an additional 410,258 shares in the last quarter. The Manufacturers Life Insurance Company raised its holdings in Brookline Bancorp, Inc. by 118.2% during the first quarter. The Manufacturers Life Insurance Company now owns 674,005 shares of the bank’s stock worth $10,919,000 after purchasing an additional 365,118 shares in the last quarter. Boston Advisors, LLC raised its holdings in Brookline Bancorp, Inc. by 324.6% during the second quarter. Boston Advisors, LLC now owns 365,148 shares of the bank’s stock worth $6,792,000 after purchasing an additional 279,155 shares in the last quarter. Finally, Chicago Equity Partners, LLC purchased a new position in Brookline Bancorp, Inc. during the second quarter worth about $4,550,000. 76.28% of the stock is owned by institutional investors and hedge funds.